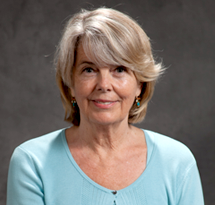 Dr. Nancy Grote received her doctorate in Developmental Psychology from the University of Pittsburgh, the same institution where she earned her MSW. She was also awarded a National Institute of Mental Health postdoctoral fellowship in psychiatric epidemiology at Carnegie Mellon University and the University of Pittsburgh. In 2006 Dr. Grote received tenure and was promoted to Associate Professor at the School of Social Work, University of Pittsburgh. As a clinical social worker, Dr. Grote has had over 20 years of practice experience with adults, couples, families, and children. Dr. Grote’s research focuses on 1) developing and testing culturally relevant, evidence-based treatments for perinatal depression for socio-economically disadvantaged women; 2) developing and testing engagement strategies to reduce racial/ethnic and socio-economic disparities in access to and utilization of mental health care; 3) assessing whether evidence-based treatments for antenatal depression confer advantages to parenting women in terms of quality of parent-child interaction; 4) examining the association between chronic and acute stress and psychological distress, as well as risk and resilience, in socio-economically disadvantaged women; 6) identifying predictors of individual and couple distress during the transition to parenthood, and 7) conducting a meta-analysis on the relation between antenatal depression and adverse birth outcomes. In recognition of the importance of her research, Dr. Grote received a 5-year Career Development award from the National Institute of Mental health (NIMH) and is currently the Principal Investigator of a 5-year NIMH R01 award entitled, “FOR MOMS: Culturally Relevant Treatments for Perinatal Depression,” which is also funded by the Horizons Foundation. Developing, testing, and disseminating culturally relevant evidence-based treatments for perinatal depression for socio-economically disadvantaged individuals and families. Developing and testing engagement strategies to address mental health care barriers to reduce racial/ethnic and socio-economic disparities in access to and utilization of mental health care.